A week before the MLB Winter Meetings, the offseason has been scorched with some big name deals. 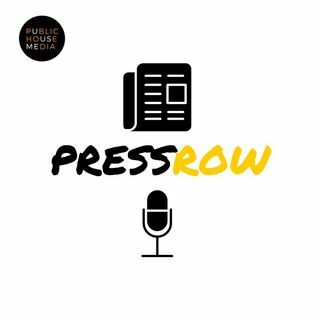 Join Christian Heimall this week on Press Row as he talks about all the trades, signings, and impacts they'll have on the rest of the offseason. Back again to help break it down is Jared Smith of MLB.com. Who got the best of the Paul Goldschmidt deal? Which NL East team will cruise to a division title in 2019? Most importantly, how does this impact Bryce Harper and Manny Machado's market? ... See More Jared answers it all and the only way to hear is to listen! All that plus your listener questions! Don't forget to subscribe on Spotify, Apple Podcasts, and www.publichousemedia.org!